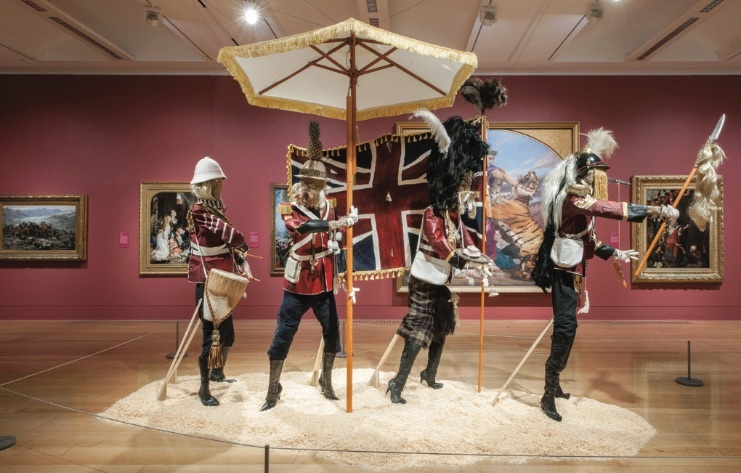 British Infantry Advance on Jerusalem, 4th of July, 1879, 2015, mixed media, dimensions variable. Installed at the exhibition “Artist and Empire: Facing Britain’s Imperial Past” at Tate Britain, London, 2015-16. Courtesy Jo Fernandes, Tate Photography.